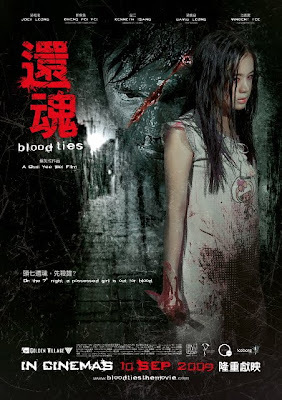 "Blood Ties The Movie" will be Yee-Wei's directorial debut for a full length feature film which is also written by himself. 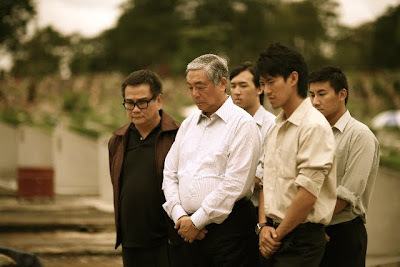 Though it has just been a short 4 years since he actively pursued a career in filmmaking, Yee-wei has quietly built up a body of works that showcases his talent in telling interesting stories through the film medium. His passion in telling stories which draws on inspiration from things around him pushes him to explore different topics and genres as evident in his earlier works. "I am a curious person by nature. And I seek to use film as a medium to ask questions and explore situations which would otherwise be difficult to do so in real life." Grace (G): I know that you had made a previous short film, Blood Ties which was screened during 2007 and this upcoming debut Blood Ties is a longer version. Can you tell us the difference for both films? Yee Wei (YW): Well... the premise is the same. A murdered cop, returns on the 7th night of his death to possess his little sister to exact revenge on his murderers. Other than that, the story is totally different. Many people thought the feature is a longer version of the short film, but it is actually not true. Jeremy (J): Have you always wanted to make Blood Ties as a feature even when u shot the short? YW: Yes. I always wanted to toy with the question of "If you could return on the 7th day of your death, what would you do?” So when I wrote the short film, it was sort of a litmus test for me to see if the idea was novel enough to be made into a commercial film. And true enough, after the short film was made, a few production houses asked me if I was interested to turn it into a full length feature. G: Have you had any personal incidents of supernatural sorts? What inspired you to think about that question? YW: No direct experience for myself, but my mother and my family did. And it was somewhat related to the "touqi" (7th night) myth. My grandfather after he passed, on the 7th night, the family prepared food offerings on the altar. And one of my aunts put powder on the floor. At night, one of my aunt heard foot steps, and chains being dragged. Then she peeped into my grandfather's bedroom and saw the rocking chair that he used to sit on rocking by itself. And there was smoke in the air. My grandpa used to rock in that chair while smoking his pipe. The next morning, the rest of the family saw footprints on the floor. The rice in the bowl on the altar also looked like someone had pressed on it. J: Very vivid memories indeed. YW: It was a family story… since everyone's involved. I was too young to remember ... so my aunts and my parents told it to me. J: How long did you take to shoot this? 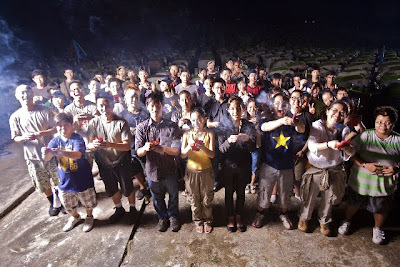 YW: It was a 20 days shoot. J: I am amazed at the visual treats in the trailer! J: How did you manage to pull so many strings for the film? I mean I saw Kenneth Tsang (veteran), lots of realistic shooting scenes, explosions and amazing production design! YW: Wow ... where do I begin? Maybe let me share the part with respect to my crew. The Director of Photography Derrick Loo and the Art Director Zoe Chu, they were both on working in those respective positions on the short film as well. I thought since me, as a first time director am given the opportunity to direct my first feature, I should let 2 new talents give it a go too. Maybe that's why they worked really hard for this. 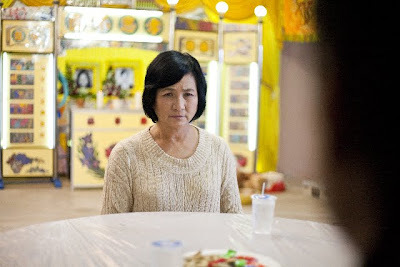 For Cheng Pei Pei, she was pitched the idea at least a year before production. And she had seen very early drafts of the script. The latest script caught her interest and timing was good, so all fell into place. For Kenneth Tsang, he said he wanted to do his part for the Singapore film industry, and again, timing was good. Did you know he's a Singapore citizen by the way? G: That's nice! I didn't know that! Would you say this is your dream project? YW: I would say I HOPE that this is the start of my many dream projects to come. J: What are the marketing plans in store for this? YW: I can't really disclose too much at this at this point. J: What would you say will make this stand out from the horror movies we know? YW: It is more a supernatural thriller piece. But I would say audience might be surprised by the amount of human drama that can be injected into a cross genre piece like this. I hope people will come out thrilled and moved at the same time. 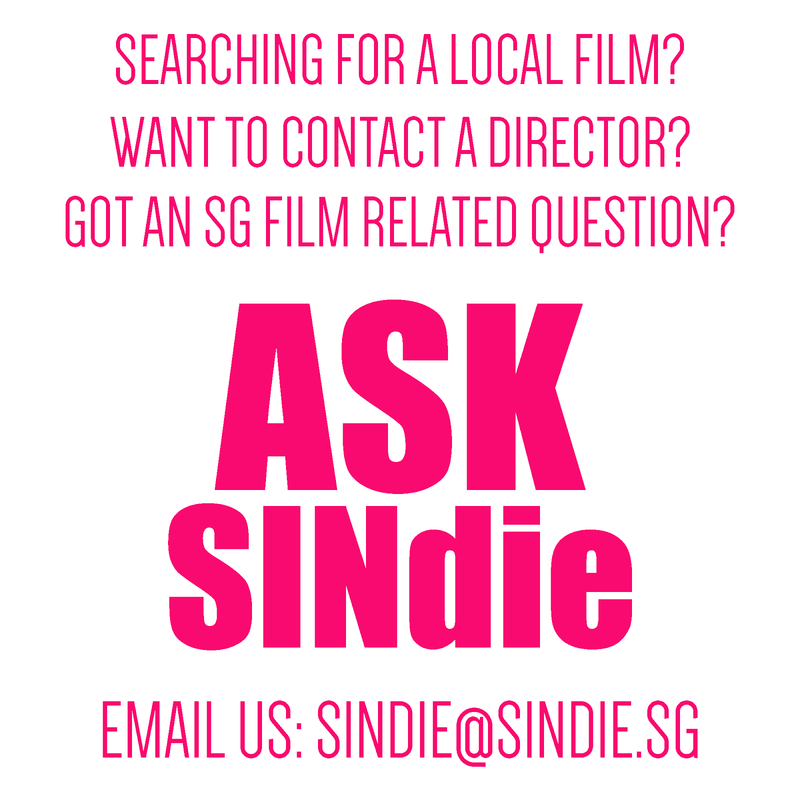 G: Do you think the film would be produced differently if it weren't funded under Singapore Film Commission Fund? YW: No. In fact, I was surprised SFC hasn't interfered or influenced the creative process at all. I was glad I am able to craft a film for the international market in mind, without concerns that I have to serve only the local market. In fact, the SFC investment is a huge help in terms of production and marketing! G: Blood Ties was screened during Cannes Festival. What were the responses like? YW: Blood Ties was not screened at Cannes. It went to the market to garner sales interest. And we got some pretty good responses from overseas buyers. G: Can you share with us, what kind of films you like? YW: It is all these simple questions that are the trickiest. Can I say who's films I enjoy? YW: I enjoy films from directors like Steven Spielberg, Ang Lee, Alex Proyas, Sam Raimi and Sidney Lumet. And films acted by Tom Hanks as well. But generally, movies with a great story and with ordinary people in extraordinary circumstances. G: Any advice for aspiring filmmakers out there? YW: Hmm ... Tell stories that are closest to your heart. And keep practicing! G: Last but not least, any final words, anything you'd like to add on for Blood Ties? YW: Oh yeah... we're giving away Blood Ties movie Posters for people who send in spooky stories they've heard or experienced. A Blog will be launched soon with these stories there. 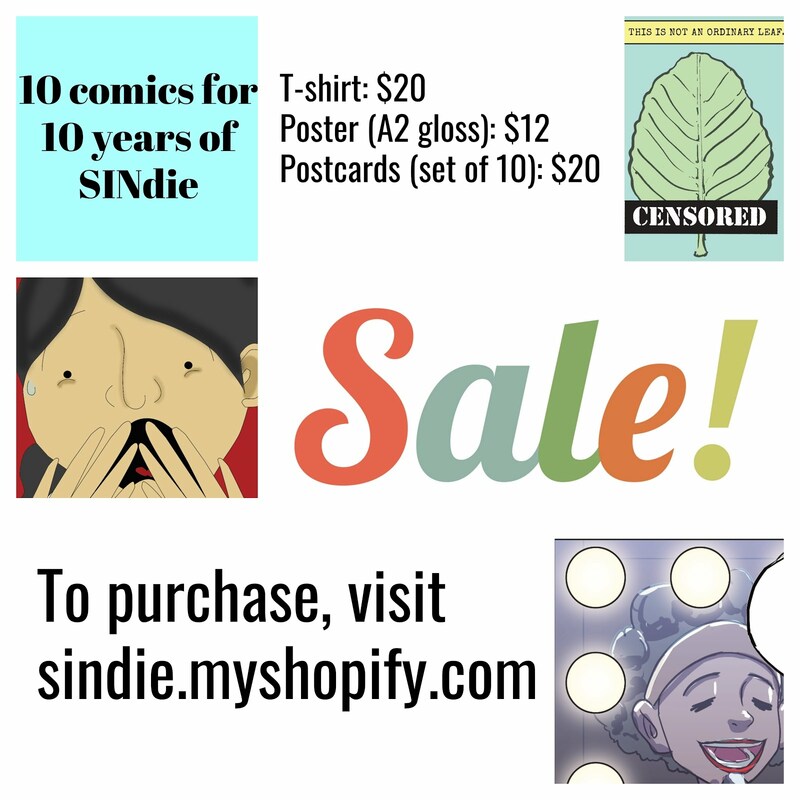 The top 10 stories will also win a pair of tickets to the gala premiere! Send the stories to stories@bloodtiesthemovie.com!